Internally for swelling, bruising or bleeding in acute trauma. 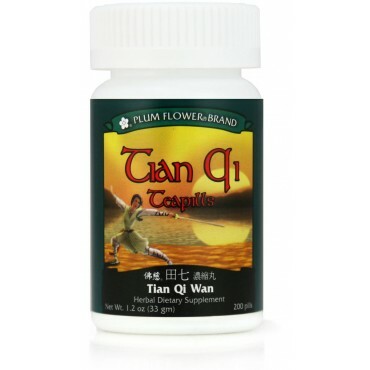 Other bleeding disorders including postpartum bleeding, nosebleed, blood in the urine or stool, bleeding ulcer and menorrhagia, and applied topically to stop bleeding wounds are some of the imbalances satisfied clients have used this product for. 8 pills, 3 x day. (Dosage can be increased to 12 pills, if needed.) 200 teapills per bottle. Panax notoginseng root. - Tian san qi.